negotiate concerning the restoration of beIN to the Comcast platform. practices Comcast is denying sports fans this content. 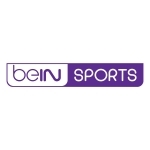 beIN SPORTS against Comcast on December 13th, 2018. For more information, visit www.beINSPORTS.com.